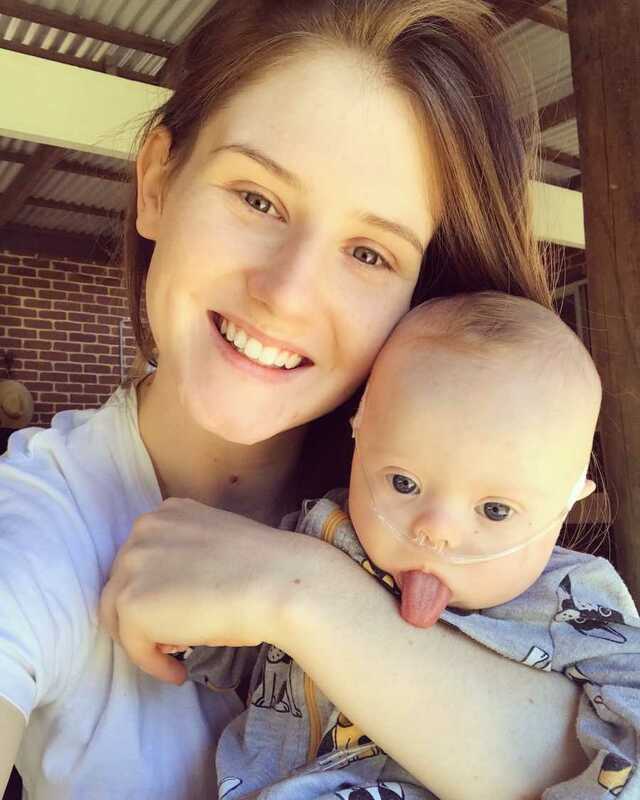 “What does Down Syndrome mean to you? Stigma created by society lead us to believe that this condition was a disability, disadvantage and something to be feared. Today I want to share our story with you about how one precious soul changed our entire perception and view. The day I went into labour, I was sitting at my desk at work when suddenly, I had a feeling as if my waters were breaking, but surely not he’s too early! I quietly got up and ran to the bathroom and called my midwife, she proceeded to tell me to wait an hour to see if anything progresses and if so to head to the hospital. I stayed at work for another 3 hours, finishing up my shift and then drove myself straight to the hospital. At the hospital, they confirmed my waters had broken but they decided to send me home because I was yet to have any contractions. 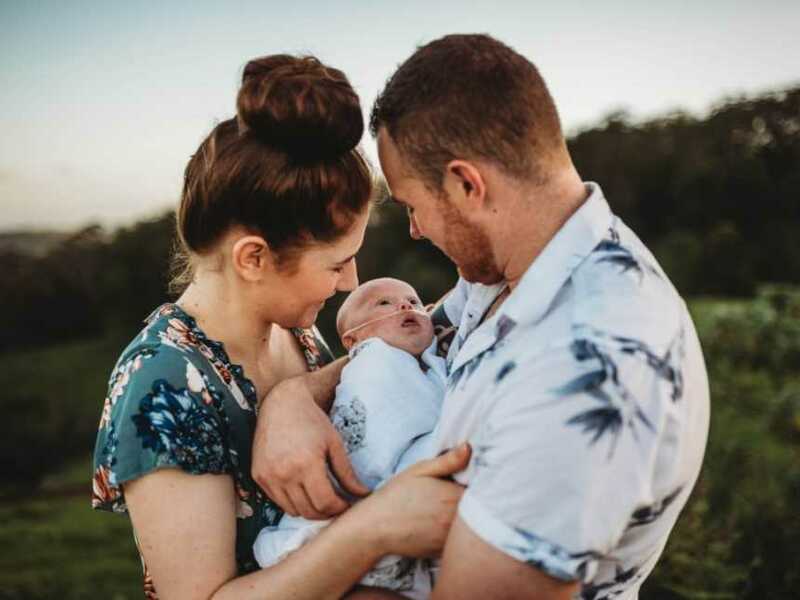 I was in denial that I could possibly be giving birth without my two birthing partners being present, my mum who lived interstate and my husband Cameron who was deployed at the time. As you probably know there’s no putting off labour once those contractions begin, so I accepted what was to come and focussed on getting through my labour. I spent most of that evening at home lying on the shower floor crying, I was alone and in pain, when the pain became too much, I called my friend Jess and headed to the hospital. 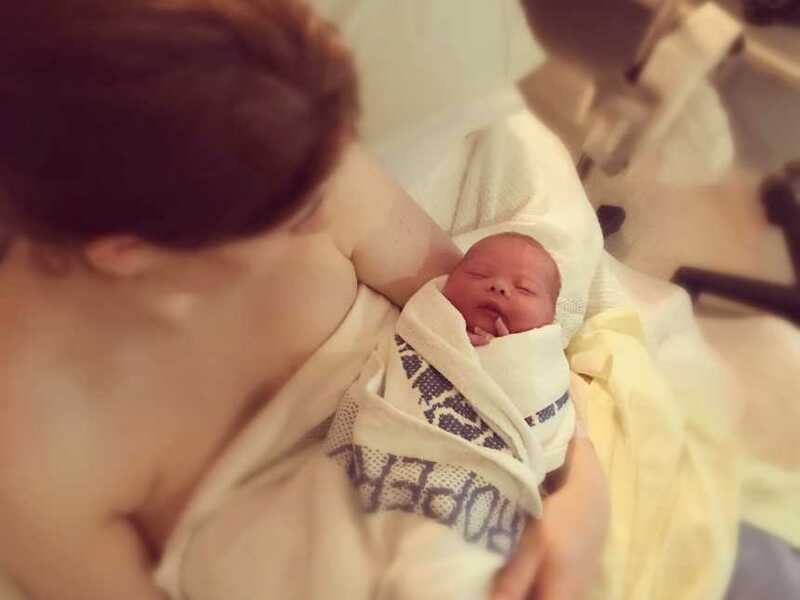 My labour occurred over 8 hours, throughout that time there was vomiting, a slip in the shower and as I internalised my pain, a lot of silence and heavy breathing. The shower no longer curbed the pain, so I asked to go into the birthing pool, whilst I was waiting for it to fill, I suddenly felt the urge to begin pushing, it felt like gravity was pulling down on me, I could feel his head, I shouted out to my midwife ‘He is coming!’ They ushered me into the birthing pool and once I was in the water I instantly relaxed, it was as if my mind had just let go and my body took control. Five minutes later, Hunter Atlas Trew made his earth side debut at 9:06am on Thursday November 22nd, 2018. The moment I gave birth to him was one of the most surreal experiences of my life, I can’t even describe those first moments, that first gaze is one I’ll never forget, I couldn’t take my eyes off him and he couldn’t take his eyes off me. My heart was exploding with love and happiness. About 9 hours after delivering Hunter, Cameron arrived at the hospital, and shortly after followed my mum. I’ve never seen two people more excited there were so many smiles, cuddles, kisses and pictures. I just sat back and smiled, feeling overcome with joy seeing Hunter surrounded by so much love. We were getting ready for discharge when the doctors decided to keep us in overnight for observation, as Hunters blood sugar levels were a little low. Hunter and I said our goodbyes to his Dad and Nanna for the night and got tucked in for our first night together. Around 2am the nurse came around to perform routine observations, she took Hunter away to check his blood sugar levels, unfortunately when the nurse returned there was no Hunter in sight, he had been admitted to the Special Care Nursery with Hypoglycaemia and Hypothermia, I was advised to try and get some more sleep. 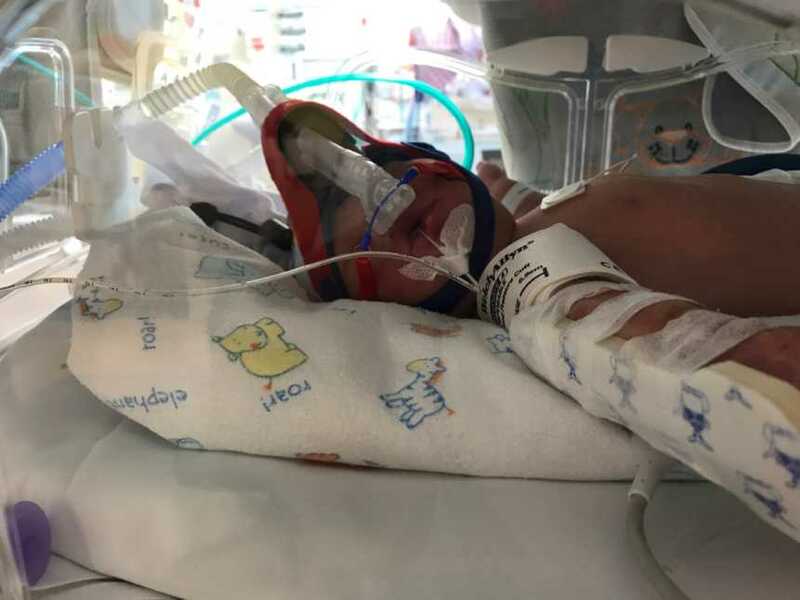 A few hours later I was woken up again to news that Hunter had gone into respiratory distress, had been placed onto Continuous positive airway pressure (CPAP) and moved to the Neonatal Intensive Care Unit (NICU). 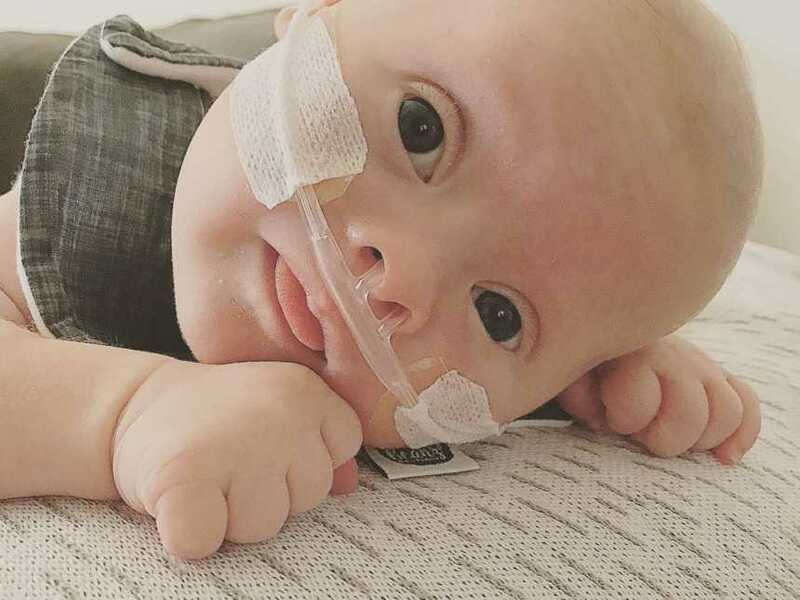 I remember walking towards the room that Hunter was in, I could see him lying in the incubator, looking so small and defenceless, lines and tubes everywhere and beside him were the specialists waiting for me, I felt my stomach drop, I was shaking and tears began to stream down my face. I had no idea what they were going to tell me but all I could think was, is my baby boy okay? 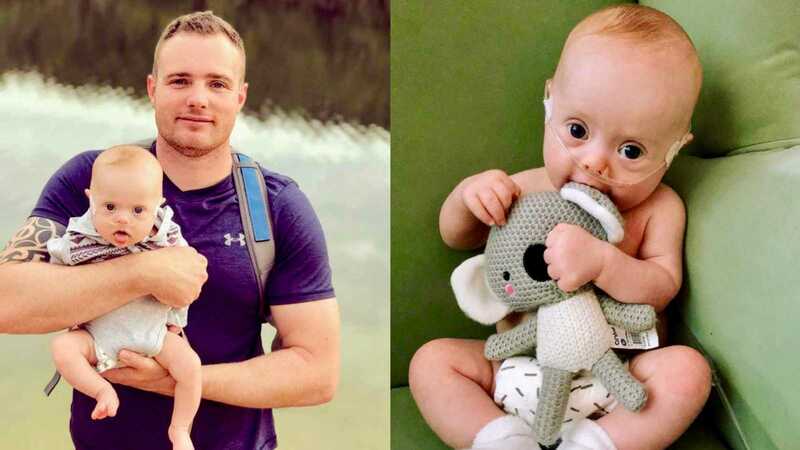 The specialists introduced themselves and sat me down, they began to tell me that Hunter showed some features commonly associated with Down Syndrome and that they would need to conduct some further tests. In that moment, I crumbled, I couldn’t move, talk or breathe, I was in absolute shock at what I had just been told. I was alone and sleep deprived, all I wanted was my husband. Waiting for him to arrive at the hospital felt like a lifetime. When they arrived I collapsed into their arms sobbing, they asked what was wrong, but I was in such a state, I could barely get the words out. By that afternoon we received Hunters confirmed diagnosis of Trisomy 21 and congenital heart disease. Cameron and I experienced a whirlwind of emotions from this day onward, at first we were devastated and then angry and frustrated at the fact that it had not been picked up by the professionals we trusted. Not long after that came the guilt, what had we done wrong? Why are we feeling this way? 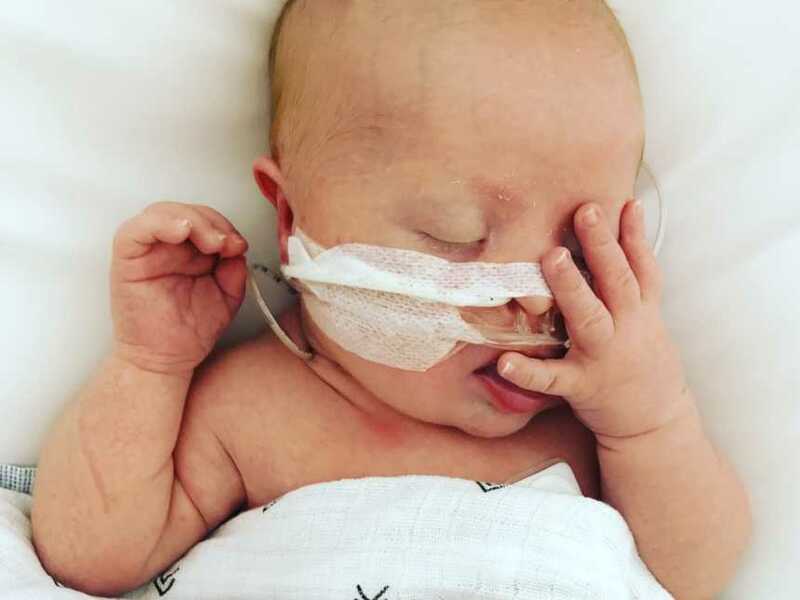 We weren’t able hold or feed Hunter for the first ten days of his life, this was the longest, hardest, most exhausting and heartbreaking 10 days of our lives. 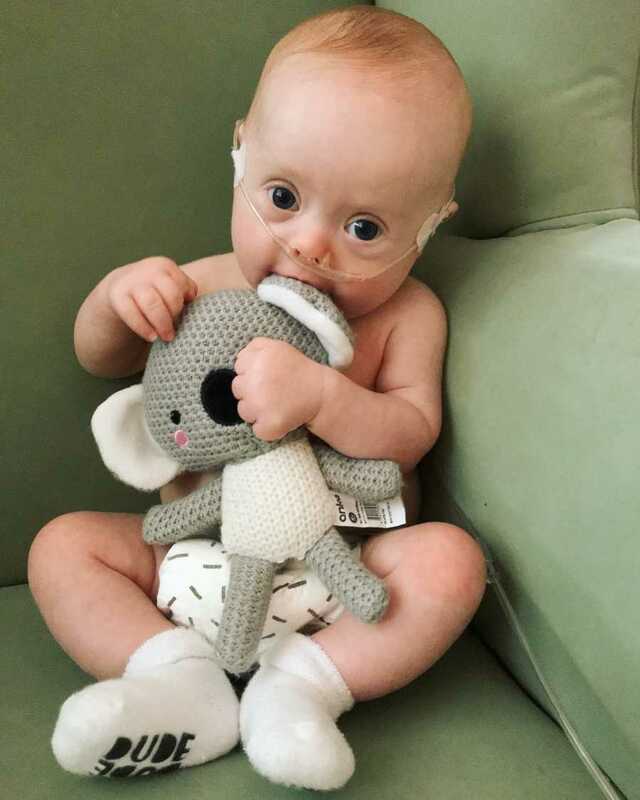 After four weeks in the NICU, Hunter was finally able to come home, just in time for Christmas! We got our Christmas wish, we been hoping for! This wasn’t the life we first anticipated, however; we believe everything happens for a reason and Hunter being born with a little something extra was one of the greatest gifts life could have given us. Waking up to Hunter’s charming smile each day, reminds us of how to be present and appreciate what is now and what is to come. 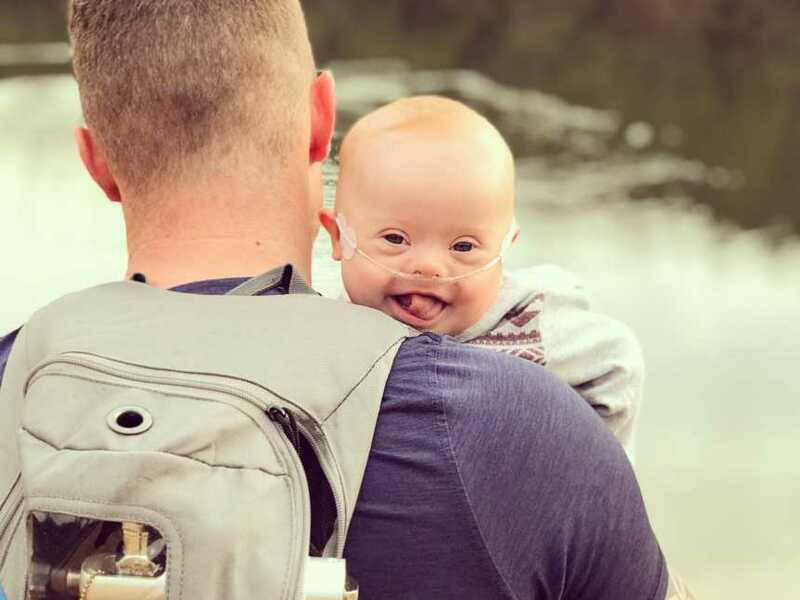 We wrote a poem derived from the Down Syndrome creed to help us put into words how truly wonderful and unique our little baby boy is. 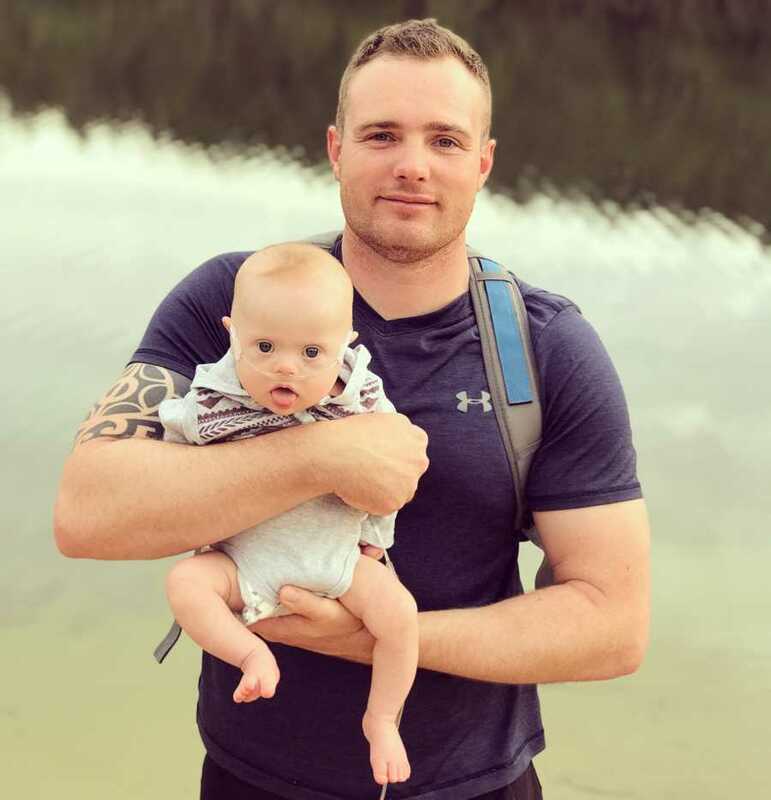 Cameron and I have no fear that Hunter will share his sweet love and brightness everywhere he goes, and in return he will be cherished and loved by everyone he knows. I laugh and I cry and take pride in my gains. I am clever and brave, and here to play my part. some people might not understand me but my greatness is worth the wait. we all have a purpose, though not the same start. and I’ll do as you do but at my own pace. This story was submitted to Love What Matters by Aimee Clarke. Follow their journey here. Submit your story here. For our best stories, subscribe to our free email newsletter. 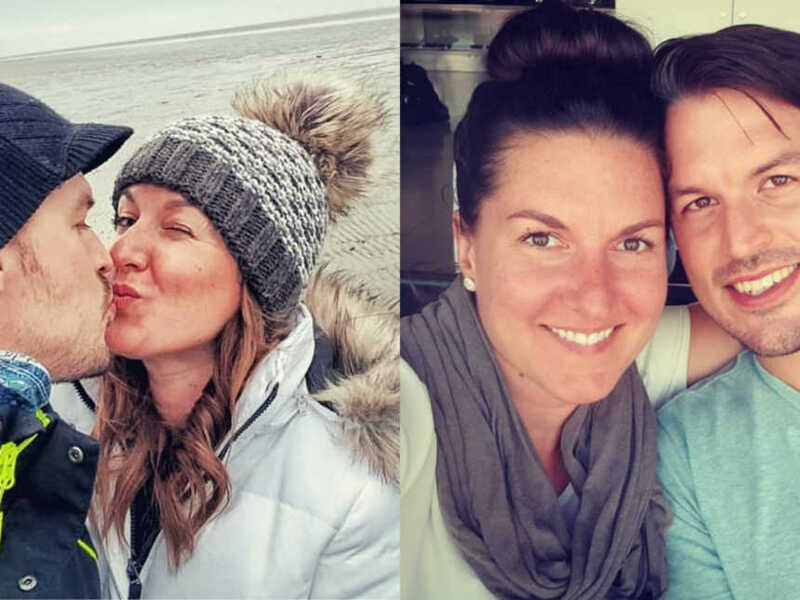 SHARE this story on Facebook, Twitter or Instagram to encourage acceptance and inclusion, let others know there is a community of support available.